Cloud Storage Upgrade – Progress: January 8th. We’re well into our cloud storage upgrade started just before Christmas. Upgrading all Ceph storage servers and Proxmox compute nodes to 40Gbit InfiniBand, and adding extra replication storage pools. Virtual Machines on the new storage are already performing better than the last generation of Proxmox/KVM VM’s, with improvements only set to get better the more disk rows get upgraded. We’re now upgrading SSD cache’s, so each “row” of spinny disks gets a new Enterprise-SSD based journal/cache. Further enhancing performance. Storage is spread across 10 HPE servers running Ceph (a mixture of DL360 and DL380 hosts). With each connected by dual InfiniBand (active/backup) with a line speed of 40Gbit. All that said, we did have a problem this afternoon when we swapped a disk in the array. The server didn’t acknowledge the slot was now empty before the new disk was inserted (something we’ve done successfully countless times before! ), when the new disk was inserted the volume went to a degraded state requiring human intervention. A small handful of VM’s were affected. We’re still trying to work out why this time the server didn’t release the slot, but a reboot of the storage node caused the SAS bus to rescan, and all disks were picked up again OK. We know how it happened, so we can plan around it next time. Our Ceph storage array has “rows” dedicated to general/dedicated/cache roles, comprising of a mixture of SATA/SAS and SSD storage disks. All customer data is spread across multiple physical servers for data redundancy, and customers with dedicated storage pools (private cloud storage) get their own rows and journals, physically separate to other data. Ceph is expandable well beyond the multi-petabyte level. Currently ours so far is at just over 60TB, we have along way to go! If you have any questions about this or anything else we do at HA Hosting, you can get in touch here. We’re doing a cloud storage upgrade on our Ceph cloud storage cluster this Sunday night, 16h December, starting at 22:00. The works involve installing InfiniBand cards into our existing storage servers and doing some software upgrades. Due to the distributed nature of Ceph storage and the ability to self heal, we are not anticipating any customer impact – however cloud services will be deemed “at risk” during the upgrade. For any more information about this or what we do here, you can get in touch with us here. ​As of today (24/11/2018) our ageing Exchange 2010 platform is being shut down. 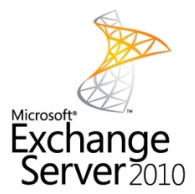 All mailboxes on Exchange 2010 are being migrated to our Exchange 2016 servers. All users were notified in advance with plenty of warning – but if for some reason your mailbox isn’t working after the migration, let us know! 2010 has served us well for many years, but we’re always eager to improve! With this all mailboxes should now be comfortable for the foreseeable future. But as always, if there are any changes planned for this we’ll let you know. For more updates at about what has been going on at HA Hosting, you can visit our Latest News page. ​As many of you will know, last week saw publication of a new set of security vulnerabilities.Affected hardware and software vendors were made aware back in July 2017 with the original public disclosure date set for January 9th 2018, but instead it was made public early on January 3rd. Spectre can manipulate a process into revealing its own data, while Meltdown can exploit a process to read memory assigned to the Kernel or other processes, even if its not normally allowed to do so.The vulnerabilities are known to affect primarily Intel processors, although Spectre can be used against Intel, AMD and many ARM processors.It affects Linux, Windows, macOS, and can affect embedded devices such as smart TV’s.Raspberry Pi’s are not vulnerable. In terms of virtual servers, Meltdown can be exploited to extract data from memory within the same virtual server, but not between virtual servers.One customers’ VM cannot read memory of another customers’ VM. The majority of HA Hosting’s Virtual Machines are already protected against Spectre due to the way they are virtualised. Container based Virtual Machines (such as Virtuozzo or OpenVZ) are vulnerable as they share the same Kernel memory space.HA Hosting do not currently deploy Container VM’s, so none of our customers are affected by this. Microsoft have now released emergency patches to Windows Server, as well as Windows 10, 8.1, and 7.Red Hat have released Kernel updates to RHEL 6 and 7, these patches have been ported to CentOS 6 & 7.Canonical have released test Kernels for Ubuntu, but at time of writing these are not yet considered stable. macOS since 10.13.2 includes the patch. The term “patch” is accurate, as the underlying issue is hardware based and cannot be mitigated without new hardware, involving a redesign of CPU architecture. What are we doing? What can you do? Now patches are being released, we encourage all customers ensure their servers and desktops are updated. We will be scheduling Kernel updates to our own servers this week.Due to the required reboots, we will have to restart some services and/or move virtual machines between cluster nodes while we do the work.We will try to keep disruption to a minimum. If your dedicated server, virtual server, or colocation server has an OS support contract with us, we will be contacting you this week to arrange installation of patches on your servers.If you wish to opt-out of having the patch enabled, let us know when we contact you – the opt-out only applies to Linux servers. If your dedicated server, virtual server, or colocation server doesn’t have an Operating System support contact with us, we recommend you update your system via Microsoft Update, apt, yum, or whichever installation service you normally use.If you don’t have a support contract with us but would like a quote for us to install patches on your servers, contact sales@hahosting.com.